Create a drum sounds from scratch using a modular synthesizer is always time and resourcing consuming. With the DR-01 you will save a lot of space, money and modules that can be used for other purposes. 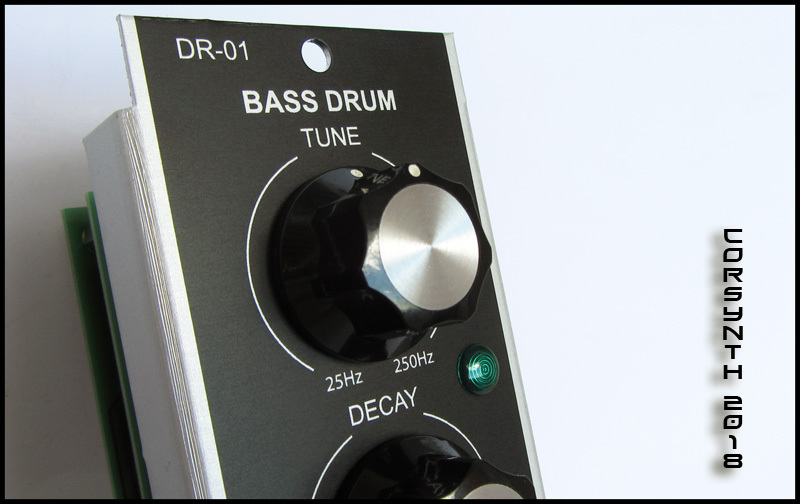 The DR-01 has all you need to create bass drums , toms a many other percussive sounds in just one single space. And thanks to the Tune CV input is even possible to use the DR-01 to create bass lines. 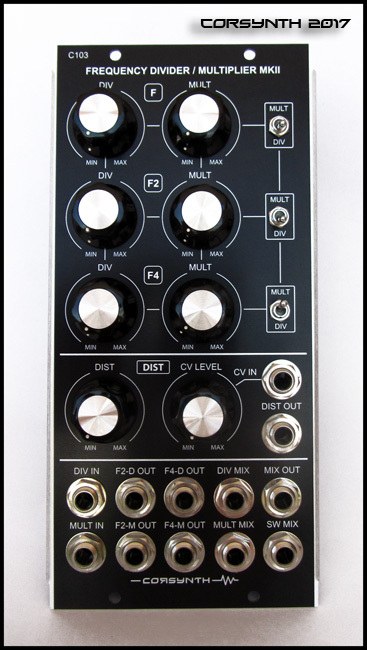 Punchy techno drums, industrial drums, drum sounds of the firsts analog drum machines, FM sounds... With the DR-01 is really easy to get the sounds that you need at every moment. 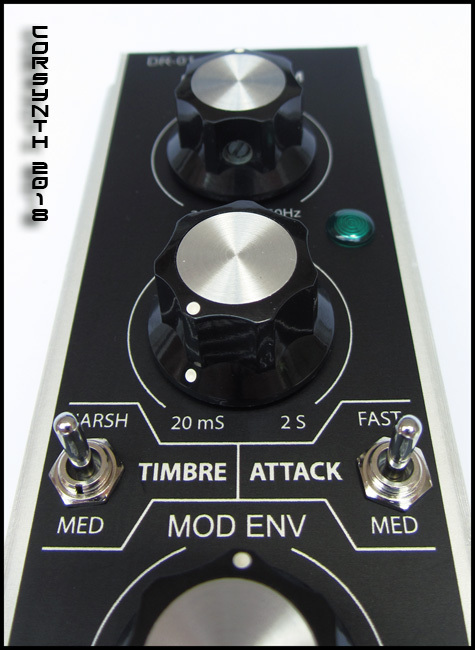 All the parameters in the module have been carefully chosen to be used in a drum synthesis context (envelope times, oscillator frequencies, oscillator waveform etc ). 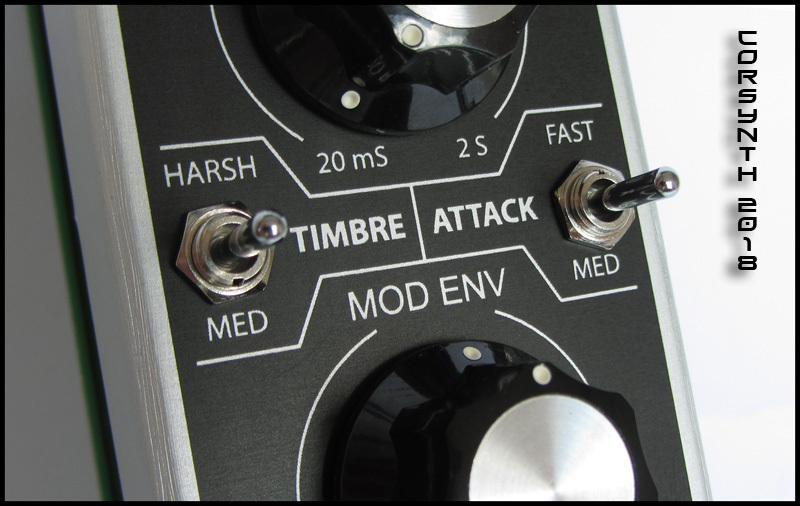 It’s time to add drum sounds to your synth sequences! . All sounds from the Corsynth DR-01 Bass Drum module. Four DR-01 has been used to create these demos. 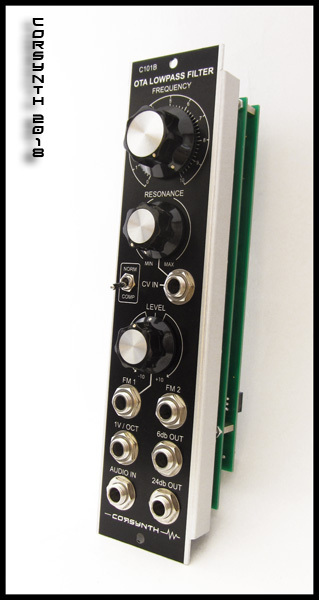 Only one external module has been used as modulation source. All recorded in real time.